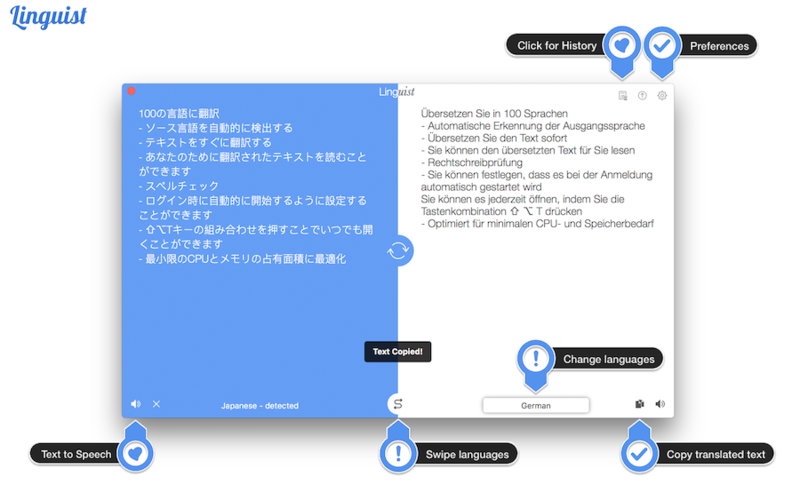 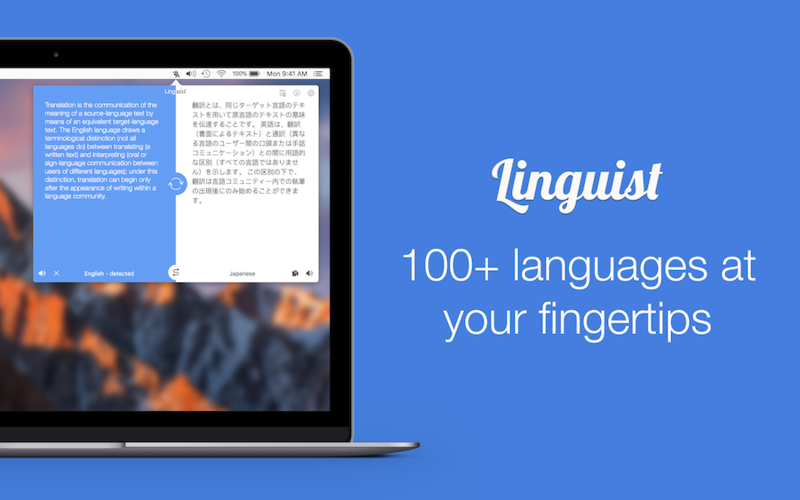 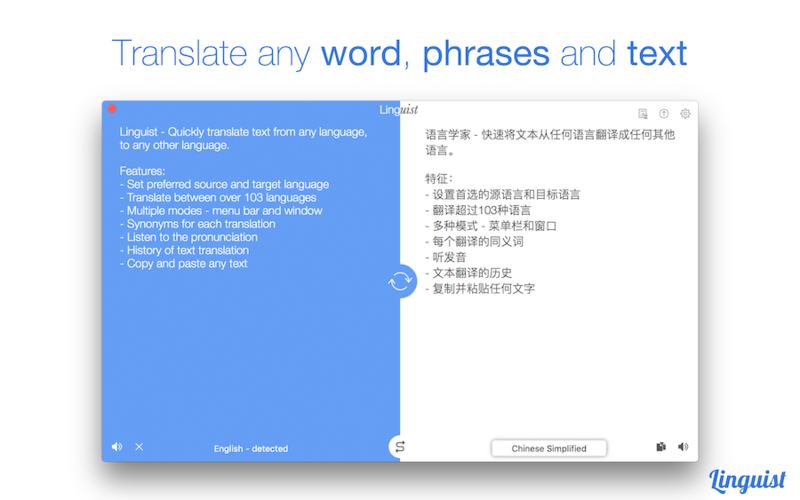 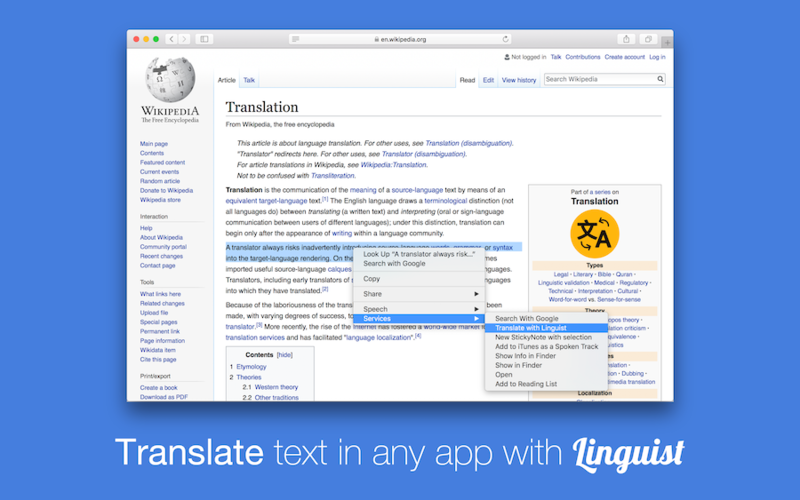 Translation of words or phrases by selecting in any other app or website with just a click or command (HOTKEY). 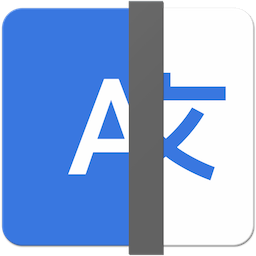 And also listen to the pronunciation after translation. 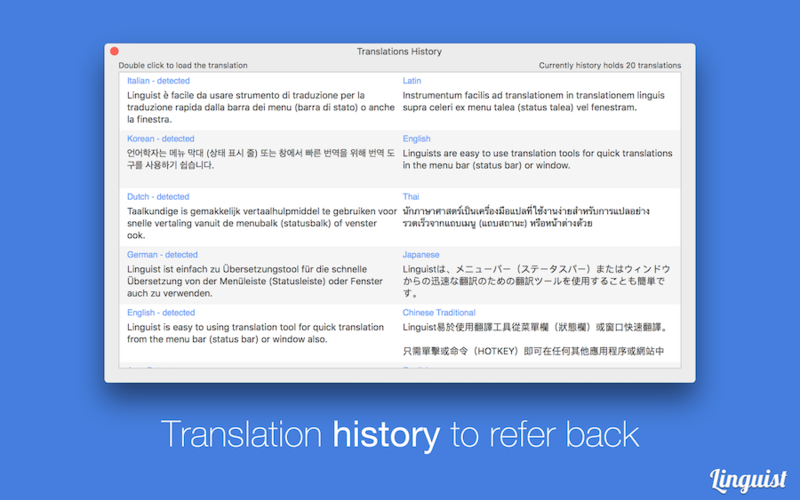 Translate between over 103 languages with beautiful user interface and maintain History of text translation to refer back when required.